Small artworks 2.5" x 3.5" for trading only. 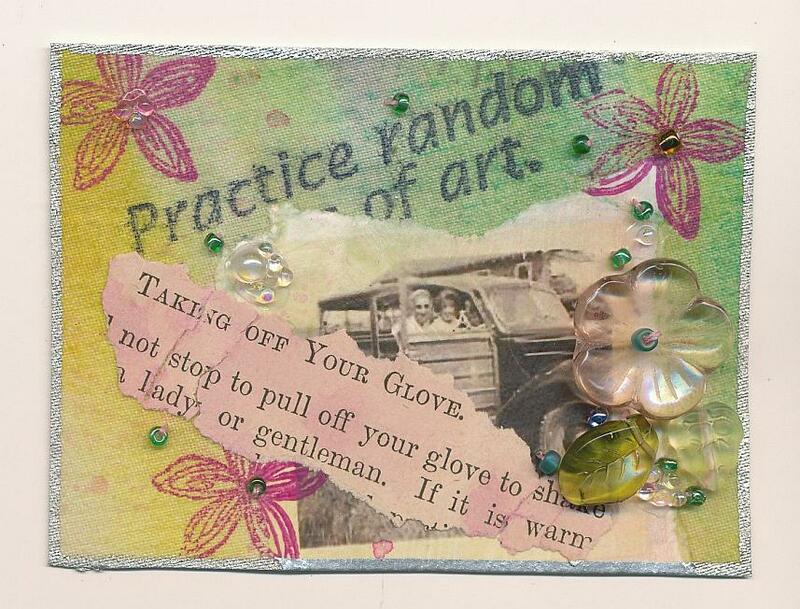 ATCs, or Artist Trading Cards, are quite simply: small works of art that are easy to make and fun to exchange. Made out of paper, fabric or both! ARTIST TRADING CARDS are described as: "Art miniatures created as a means for sharing a passion for art with others." These cards are the size of any trading cards, like baseball cards: 2.5" x 3.5" (64 x 89 mm). Now there's just one hard and fast rule about Artist Trading Cards: They are made to be traded only and never sold. A group of artists who wanted to sell art cards of this size, came up a special term for them: Art Card, Editions and Originals -or, ACEOs. You can read more about the Artist Trading Card/ACEO movement on Wikipedia. The most common reaction I've heard to making an ATC is, “They are so small, aren't they hard to make?”. I'm sure those of you who have made one will agree with me that once you try art as small as this, you'll fall in love with it! The compact area you have to work in makes an ATC so easy to complete. 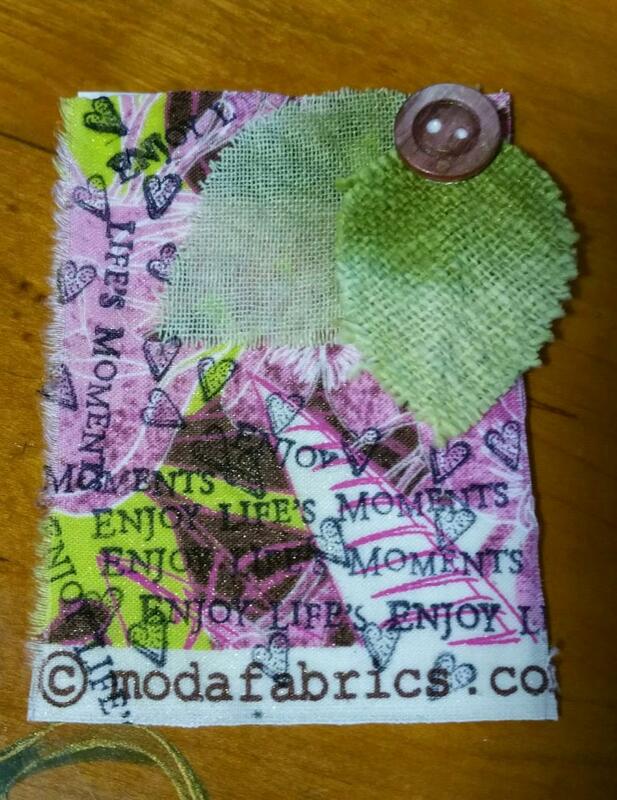 Working small does take a little adjusting to at first, especially if you are used to creating a larger collage, but once you make a few ATCs, you'll see creating them is very simple and fast to do! I'll often create extras as it hardly takes any more time at all to make a few more. Great for swaps! 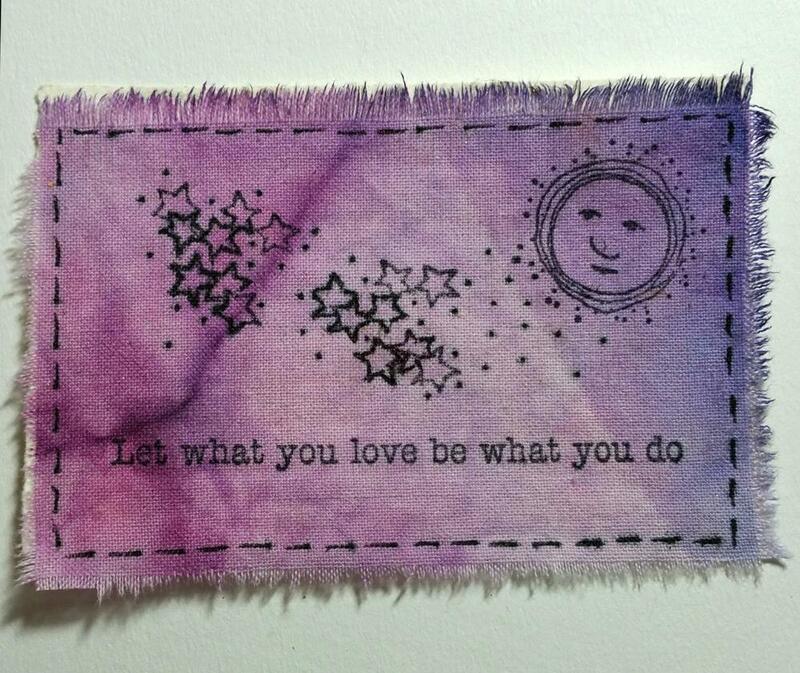 Just some of the ATCs I've made over the years are shared here on this page. I participated in lots of ATC swaps from 2001 to 2015 and I've also hosted many swaps. 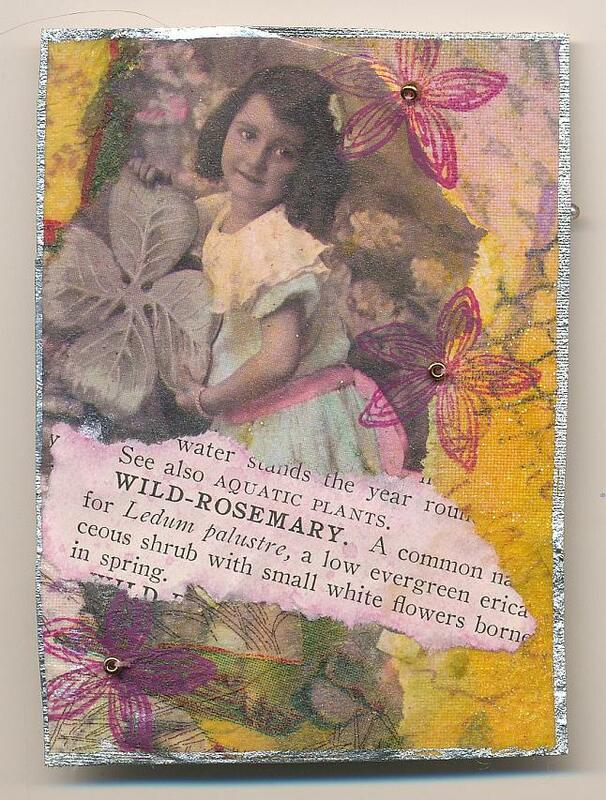 Look for swap calls online through various mixed media art websites or blogs. Some swaps are sponsored by a company. Their website will sponsor it and usually the use of some of their materials is required. The requirements and themes are set by the hostess who is organizing & doing the swapping. After you send your swap art in by a deadline you wait patiently (?) for your returns! I still participate in a few swaps . . . and occasionally, I still host them. You can always ask if someone would trade ATCs with you! The ATCs below were all made from one larger sheet of "fabric paper" (fabric that was collaged & stamped) and then I stamped and collaged them some more individually. A metallic silver marker finishes them! Click on any ATC for a better view. Thanks for looking at a few of my ATCs. 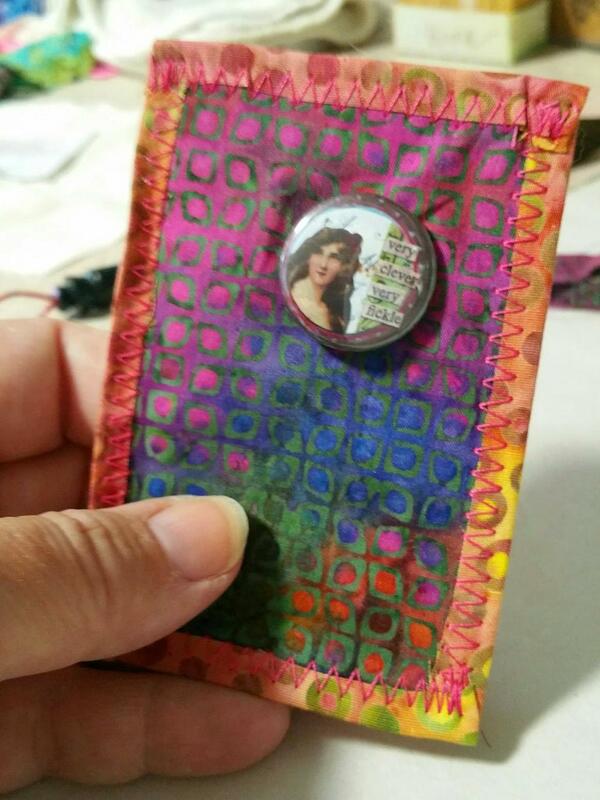 Click here for a lesson I wrote on various ways to create Artist Trading Cards.